February 18 to April 5, 2015 is the season of Lent. It starts with Ash Wednesday and ends on Easter Sunday. Lenten season runs for 40 days but not counting the Sundays since every Sunday is a Resurrection day. The Church celebrates Lent with similar messages of Advent in a different backdrop – the passion, death and resurrection of Jesus Christ. Our lives are also a cycle of joys, pains and glorious moments. We take each moment as sacred and memorable. We savor and enjoy the joyful moments. We reflect on the message of each painful moment. And we are redeemed and brought back to the zest of life at each glorious moment. Think about those moments in your life and you will find God has always been there with you, accompanying you at each moment whether or not you were conscious of God’s presence. 1. 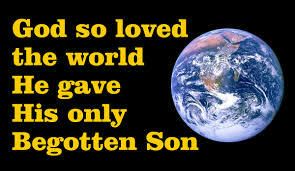 God loves us so much “He gave his only Son, so that everyone who believes in him may not perish but may have eternal life.” John 3:16 It is good to savor on this love. Think how many times we had given ourselves to others beyond what are expected without expecting a Thank you or a recognition. Sacrifices for love and service are often taken for granted. Think how many times, we take for granted God’s blessings. Think of the times we are in prayer. What is the content of our prayers? Do we only ask? How about listening? We tell God what we want. Do we also listen to what God wants of us? 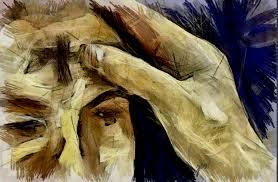 Lent is a time conducive for intimate union with the Lord – a time just for the Lord – for prayer and contemplation. 3. Our life on earth is temporary. From the time we were born and grown up, we have come to love this world and all that it offers. Some have enjoyed their wealth and power. Some have enjoyed a happy family life even with limited material possessions. Some are struggling to get even a day’s meal. Some have practically nothing –no house, no work, no possessions except children. Many of them are on the streets. Rich or poor, life in this world is temporary. Physical death is inevitable. It’s a matter of time. Lent reminds us that we come into this world with nothing and we leave this world with nothing. Parents are busy working on what to leave to their children. Some are working for a legacy for the next generation. Some are busy putting up monuments to remind people they existed. Some die as martyrs. 4. Ours is the choice. 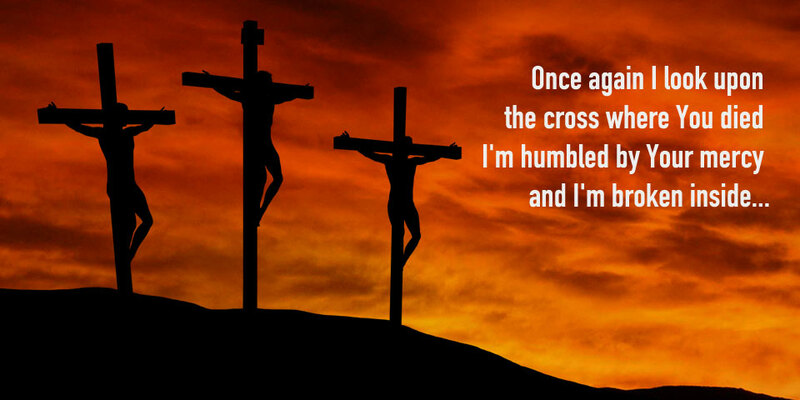 Good Friday does not end in Jesus’ death. 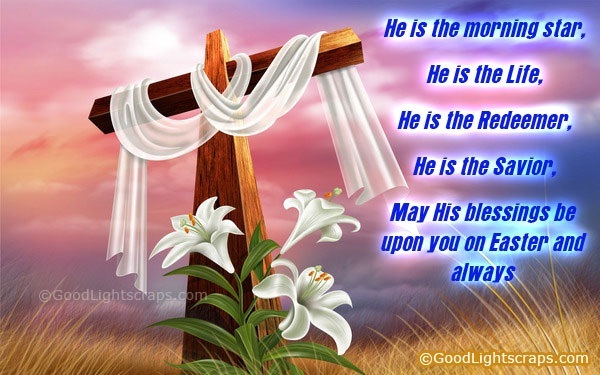 He resurrected and left in us the power to choose Life over death. And it is not only to choose Life but to give Life to others as well. It is easy to say “I love you” and probably not mean it the way God has commanded us to love. It is easy to love those who love us. It is more difficult to love those who are giving us pain. It is not easy to forgive those who are destroying our personhood to others perhaps due to pride and prejudice. It is not easy to love those who are rejecting us in various ways perhaps because of our limitations to please them. It is not easy to love those who have negative thoughts and feelings toward others. The litany can go on… What is clear is that God accepts us all and understands us where we are coming from and not give up on us. 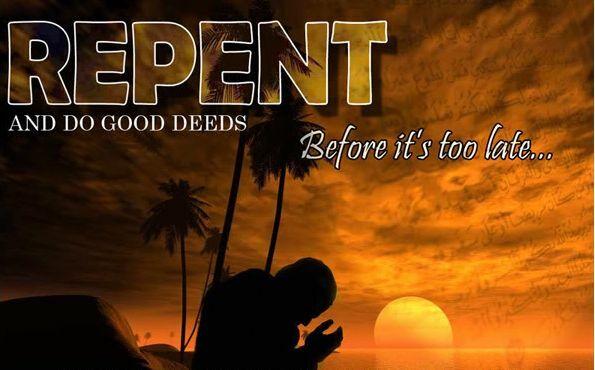 God is willing to die for us each time to save us IF we want to, if we ask Him, if we repent and change. Ours is always the choice. 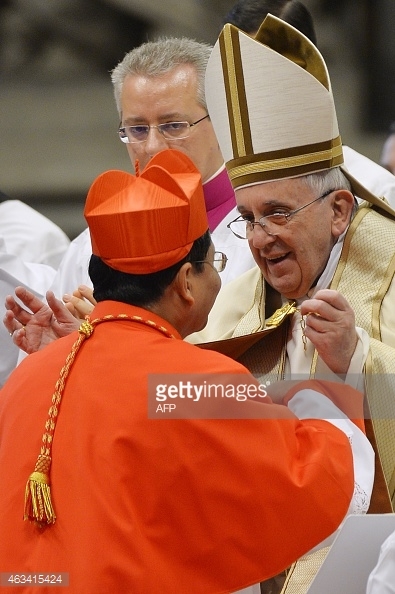 Vatican City, 14 February 2015 (VIS) – At 11 a.m. today in the Vatican Basilica, Pope Francis celebrated an Ordinary Public Consistory during which he created twenty new cardinals, to whom he imposed the biretta, consigned the ring and assigned the title or diaconate church. The celebration was also attended by Pope emeritus Benedict XVI, whom Pope Francis embraced upon entering the basilica. 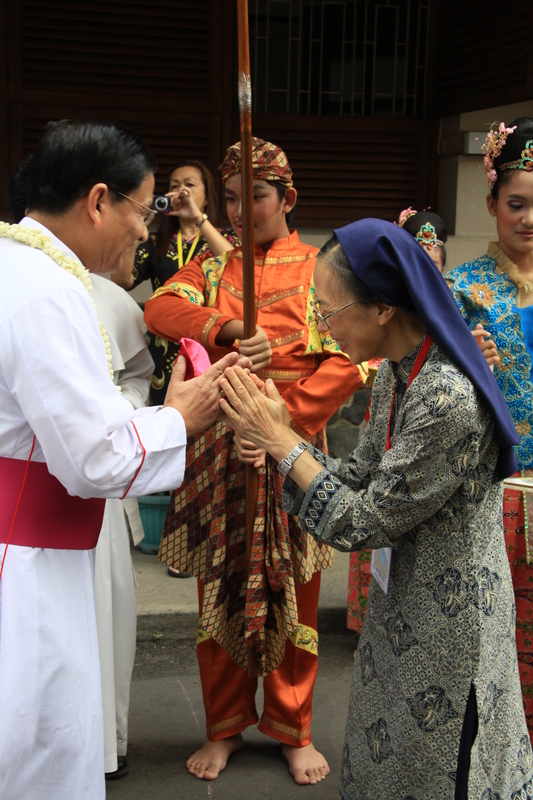 He was also greeted by Cardinal Dominique Mamberti, prefect of the Supreme Tribunal of the Apostolic Signatura who, as first among the new cardinals, addressed some words of thanks to the Holy Father on behalf of all. “Becoming part of the College of Cardinals places us in a particular way in the history and life of the Church of Rome that – according to St. Ignatius of Antioch’s beautiful phrase – presides in charity. We are invited to come out of ourselves, of our habits and comforts, in order to serve the mission of this Church, aware that this implies having a broader horizon”. Cardinal Jose de Jesus Pimiento was unable to attend on account of his advanced age, and so he will receive the biretta in Colombia. 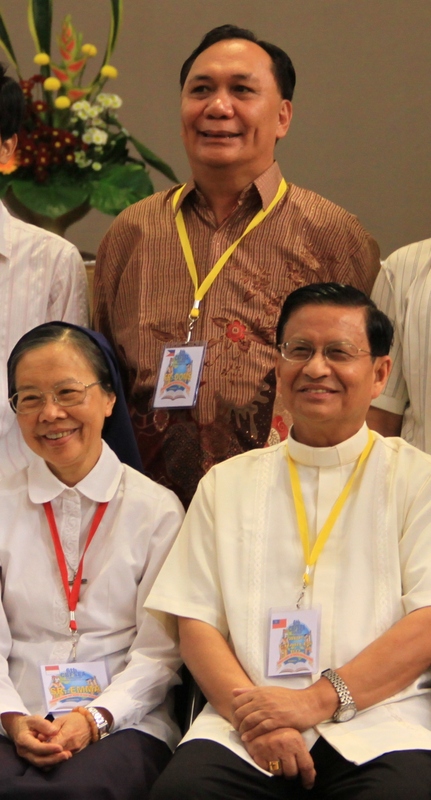 of the first Cardinal of Myanmar. and our sub-region of Southeast Asia. Archbishop Ricardo Blazquez Perez (Spain). Bishop Arlindo Gomes Furtado, (Capo Verde).